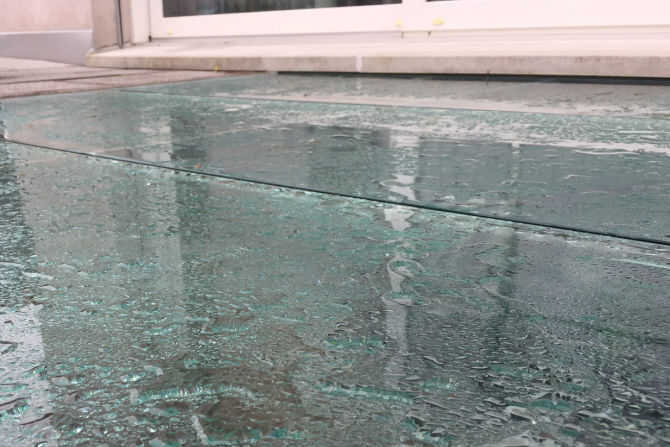 A slippery glass floor at a terrace at a private home was made slip-safe. 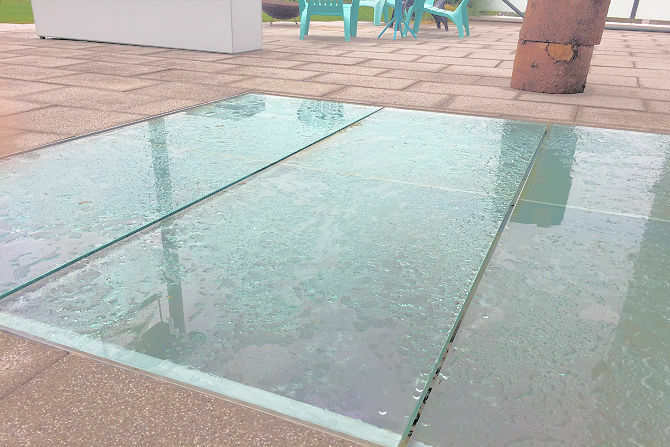 With the non-slip Coating by GriP the inhabitants can walk safely at the glass surface even when wet and avoid slipping accidents. 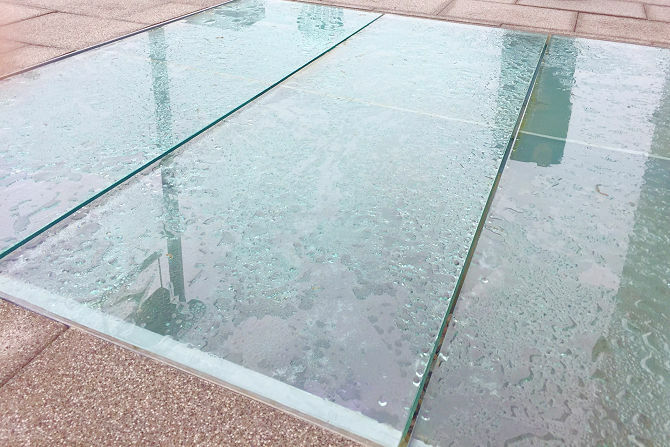 Antislip coating of outdoor glass floor.